Veteran trial attorney William H. “Billy” Murphy has built a strong record of success in courtrooms during a remarkable career of more than 40 years. Murphy, whose practice includes medical malpractice, personal injury, and criminal defense, has a 90 percent success rate in state court cases and a 40 percent success rate in federal cases, four times higher than the national average. Among Murphy’s high-profile cases: He fought to get wire fraud charges dismissed against longtime boxing promoter Don King in a case that drew national attention. And in a case involving carbon monoxide poisoning at an Inner Harbor restaurant, Murphy and the firm represented 23 plaintiffs who were awarded $34.33 million for the damages associated with their permanent injuries. Murphy was elected judge of the Circuit Court in Baltimore City in 1980 but decided to return to private practice in 1983. He says he believes in protecting those who are innocent or underrepresented and is proud of his tough and effective cross-examinations. 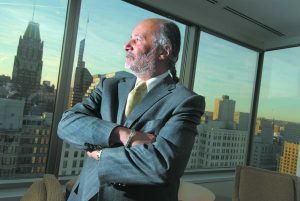 Devoted to Baltimore and its residents, he leads the firm in participating in charitable dollars and volunteer hours with organizations that include the Baltimore Women’s League and Community Law in Action. “When I help someone solve one of the most significant problems that they have faced … it doesn’t get any better than that,” he says.